The Sun Siyam Iru Fushi, luxurious paradise resort situated in the Noonu Atoll, has invested in its luxury beach accommodation offering. By introducing 75 Deluxe Beach Villas with private pool, the resort offers even more ways to experience refined accommodation in the heart of one of the most beautiful parts of the Indian Ocean. This refurbishment enhances the resorts commitment to boutique hospitality on a large scale and will continue to focus on the fusion of impeccable service, embracing authentic cultural heritage and a dining wonderland of gourmet experiences. The NEW deluxe beach villas offer a world of relaxation and luxury in 150 sqm. 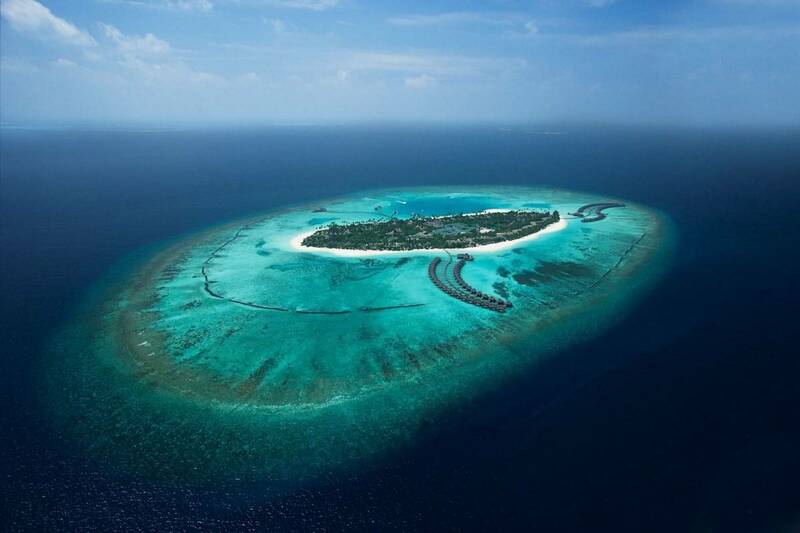 This dedicated space offers the ideal retreat in which to experience the incredible beauty of the Maldives. Step into the inviting ambiance of the deluxe beach villa and be transported into a tropical paradise. This open plan villa offers all the comforts of modern day living set in a traditional Maldivian style living space. Including luxurious day beds to relax upon, espresso machines and mini bar and a spacious atmosphere in which to enjoy a moment of cool refreshment or simply take in the beautiful surroundings. The walled outdoor bathroom offers both freedom and privacy, whether a dip in the spa bath is needed or a starlit shower in the open air. Several day beds are on offer throughout the villa, overlooking the pool, in the open plan living space and in the outdoor bathroom. Wake to the sun streaming in through the large floor-to-ceiling windows, open the glass doors out onto the outside living space and take a moment to admire the private pool and inviting day bed opposite, with the most enchanting ocean views. Offering stunning vistas across a myriad of blue lagoons and extensive reefs, the beach villas open on to the white sandy beaches and warm turquoise waters. Each villa is however designed to ensure the utmost privacy, shaded by palms and set back from the beach. Cool off in the plunge pool and shower before enjoying one of the extensive selection of waterside restaurant experiences. The ultimate in luxury beach escapes.